Deputy Health Minister Ya'akov Litzman is in hot water for refusing to shake the hand of his female counterpart from Belgium. Deputy Health Minister Ya'akov Litzman is in hot water for refusing to shake the hand of his female counterpart from Belgium. Litzman met Belgian Health Minister Laurette Onkelinx at an international health conference in Geneva and, while greeting her as graciously as possible, politely declined to shake her extended hand, explaining that religious strictures prevented him from doing so. Onkelinx didn't care for his attitude, to say the least. But for Litzman, it wasn't not a matter of protocol, but of religious faith, and his right to fulfill the precepts of his beliefs, said the editor of the Belgian Jewish newspaper that broke the story. While some Orthodox religious authorities have ruled that a man is permitted to shake a woman's hand if it is extended in order to avoid tension, the majority of authorities – and certainly the decisors that Litzman, a member of the Gerrer Hassidic group, would heed – forbid a man from shaking hands with a woman who is not his wife, as a matter of propriety. 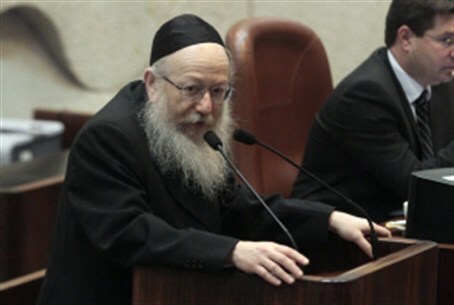 In previous interviews, Litzman has said that the prohibition has generally not been a problem, as the vast majority of women he comes into contact with are aware of his beliefs and are willing to accommodate them. In those interviews, Litzman has said that his intention is not to insult anyone, but to fulfill his beliefs as he sees fit. “It's a matter of freedom of religion, which is, as far as I know, an important belief in the Western world,” Litzman said.